St. Lucia's First Overwater Bungalows Coming May 2017! 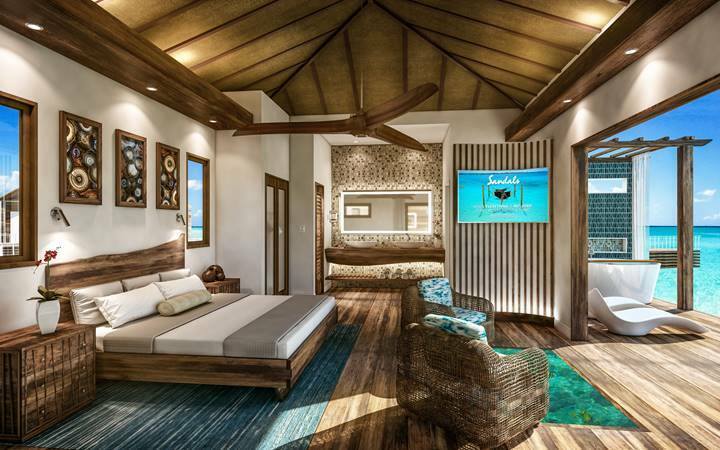 Sandals Resorts announced the official opening of their first ever Overwater Bungalows at their Sandals Grande St Lucian property in St. Lucia. 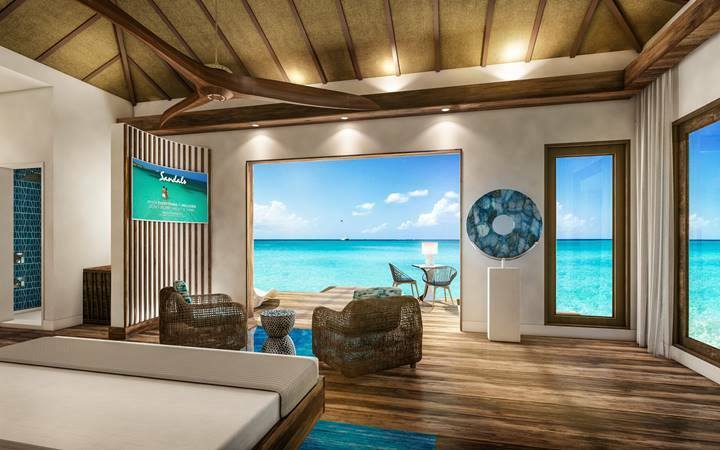 These bungalows will join the family of the 5 Overwater Villas and 12 smaller Overwater Bungalows now open at Sandals Royal Caribbean, and the additional Overwater Bungalows that are being built at Sandals South Coast in Jamaica too. 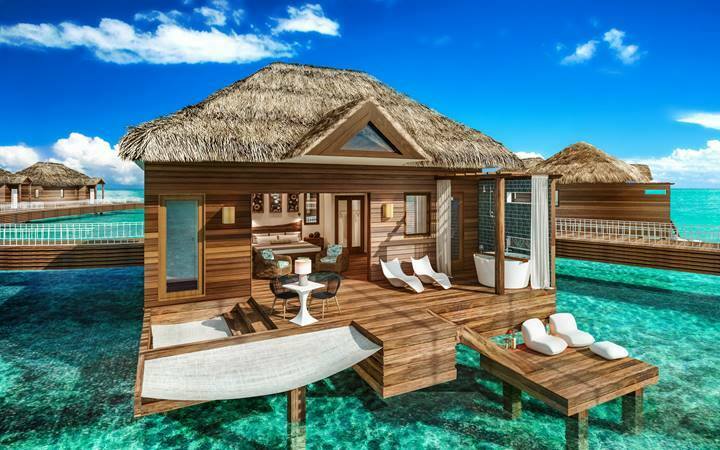 These bungalows will be smaller in square footage than the Overwater Villas at Sandals Royal Caribbean. However, they will still offer guests the "Sandals suite life" so-to-speak. They will offer many of the same features as the Overwater Villas such as the outdoor sitting areas, overwater hammock, glass flooring, and the same interior design. One of the biggest differences will be that these bungalows won't have a private plunge pool, but they will have a soaking tub for two on the deck. Don't let the Sandals website fool you though. As of the time this was written, their website was showing the description of the Overwater Bungalows but with the photos of the Overwater Villas, which are larger in size than the Bungalows and have a private pool on the deck. The Bungalows do not have that feature even though the photos depict that, the description of the room does not. Just know if you are booking that, it would not have a private pool. To book these Overwater options, contact us at info@myparadiseplanner.com for free help! *Please Note: Information posted in this blog is subject to change at any notice. 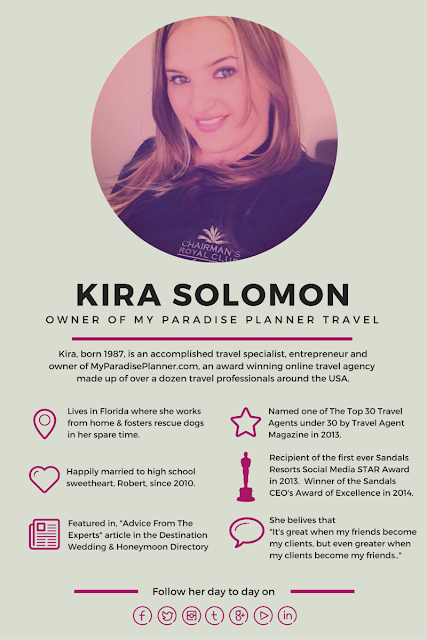 Please contact me directly for the most up-to-date information available.